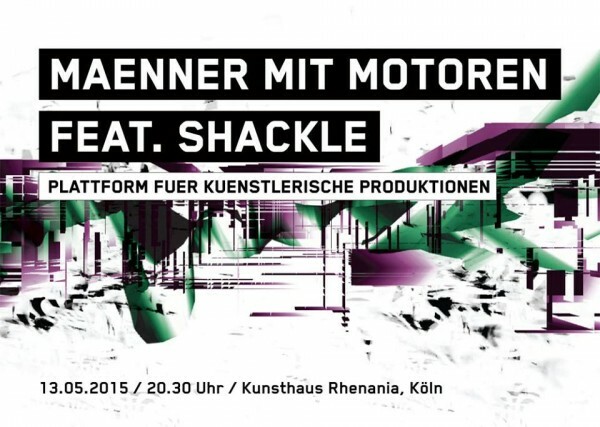 Shackle has had two sweaty and electrifying performances with the electro acoustic duo Maenner mit Motoren in the last few months. Both were at the Kunsthaus Rhenania in Köln, a buzzing building that houses visual and sonic artist workspaces. 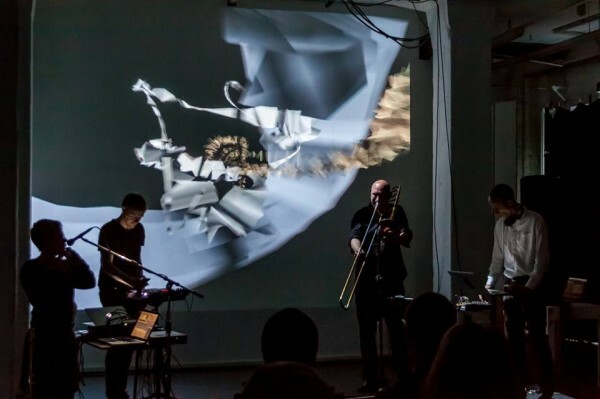 The first was on May 12 at the end of a 2 day studio collaboration and the second was on 29 August as part of the Strom IV festival. Sven Hahne has recently moved to Chili but his wizardly visual programming continues to partner with us! Both performances were on incredibly hot days in Köln. The audiences sipped beer as we cavorted through musical playgrounds, sometimes spacious and sometimes raucous.